Eating healthy doesn’t have to be complicated or take hours of prep work. 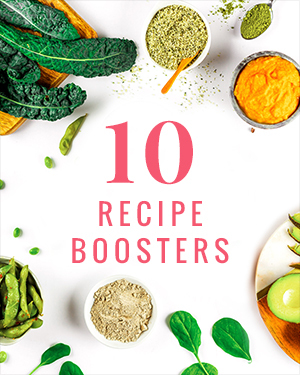 In fact, just by adding one or more of these recipe-boosting ingredients to dishes you’re already making, you’ll rev up your nutrition without a ton of effort or time. This free cheat sheet includes everything you need to make these amazing ingredients part of your routine, including some easy, delicious recipes you’re gonna love!